Bruxism may seem like nothing more than an irritation. However, controlling bruxism by using a night guard is more important than one may think. Not only can your teeth chip and break due to excessive tooth grinding, but you can also have headaches and jaw pain. People with major Bruxism problems can even require surgery to correct the problem. If you suffer from bruxism it is important to see a dentist. Night guards that that are custom- made and fitted by your dentist are often the best option, although they are not the least expensive. 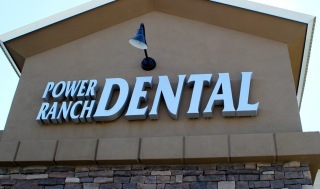 Please call Power Ranch Dental a call at (480) 988- 2282 if you have any other questions about the importance of night guards.